Getting behind the wheel of your favorite truck is easier than ever when you have a Ram lease from Oxmoor Chrysler Dodge Jeep Ram, a full-service Ram dealership just outside of Jeffersonville, Indiana. For drivers with a tighter budget who are primarily focusing on their short-term driving experience, an auto lease can be an excellent option for overcoming budget barriers and making the most of their driving experience. With lower monthly payments, a smaller down payment, and more predictable maintenance-related expenses, an auto lease is friendly on your bank account, while still allowing you to drive your ideal vehicle. If you’re planning on using your Ram truck for commercial purposes, an auto lease also allows you to take advantage of significant tax deductions. For those who tend to drive fewer miles than most, are focused on a short-term driving experience, and are content with the responsibilities of their agreement, an auto lease can be an intelligent and cost-effective means of driving your favorite vehicle. Contact an Oxmoor Chrysler Dodge Jeep Ram representative today to find out if a Ram lease is right for you! Oxmoor Chrysler Dodge Jeep Ram has served thousands of customers in Jeffersonville, IN and throughout its surrounding areas, and we hope to have the opportunity to serve you next. 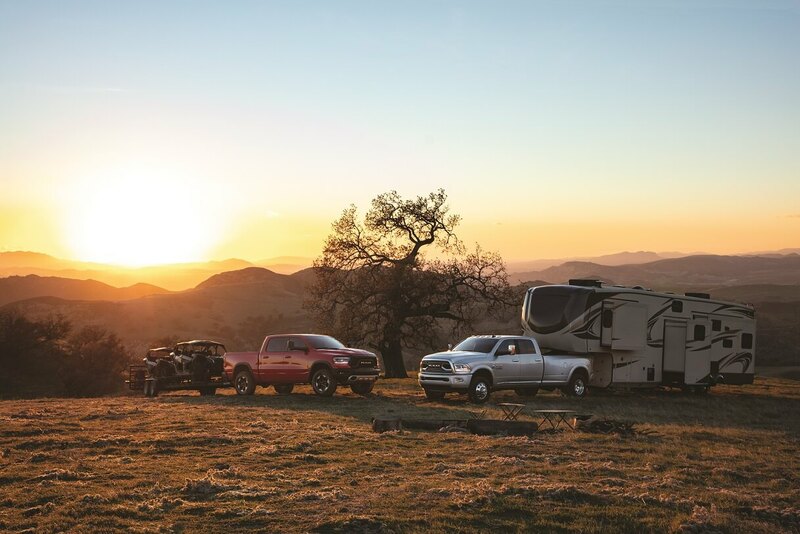 With the versatile performance of the Ram 1500, you can have confidence in your vehicle whether you’re commuting down I-65 or towing your camper through Hoosier National Forest. Those in search of a vehicle with some extra power will be more than satisfied with the uncompromising Ram 2500 and Ram 3500, both of which are well-suited for commercial ventures and can easily conquer even the toughest jobs. If you’re on the hunt for a high-quality cargo van, then look no further than the Ram ProMaster. A Ram lease grants you access to any of these outstanding vehicles; it’s up to you to make it happen! To get behind the wheel, simply give us a call to schedule a test drive, or stop by in person to speak with an Oxmoor Chrysler Dodge Jeep Ram representative face-to-face! At the Oxmoor Chrysler Dodge Jeep Ram auto financing center, securing affordable auto financing is easier than ever. With the guidance of our skilled financing professionals, you can overcome budget barriers and secure an affordable Ram lease or auto loan. We’ll provide you with a wide array of unique Ram financing options to fit your finances, allowing you to minimize your financial stress and focus on enjoying your vehicle. If you’d like to get a jump start on the process, you can browse the financing tools on our website, and even submit an auto financing application. To dive right in, just swing by in person at our Ram financing center near Jeffersonville, IN, or give us a call to speak with an Oxmoor Chrysler Dodge Jeep Ram representative about our incredible Ram lease specials. We hope to see you soon!